"Meganize me! 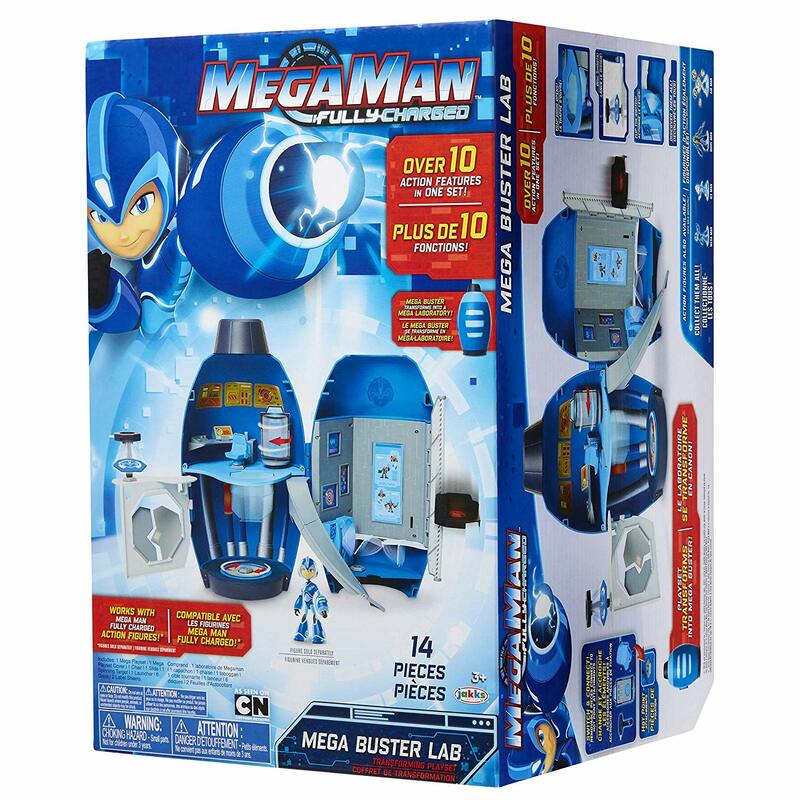 Recreate the adventures from Mega Man: Fully Charged with the Mega Buster Lab. 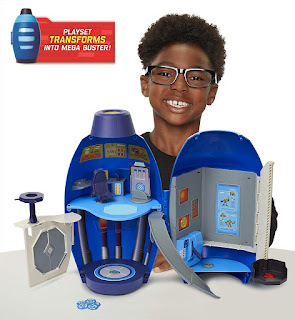 This amazing playset looks like Mega Man's iconic Mega Buster cannon, but when opened up discover Mega Man's high-tech lab! This lab includes a disc shooter, elevator, target, trap floor, break apart walls, slide, rotating floor, and more!" Slide so your figures can leap into action! Trap door to capture enemies! You can order yours via Amazon for a cool $39.99. Expect to see more Jakks Pacific Fully Charged goods in the coming days!